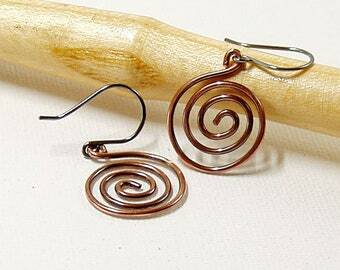 Gosh, the spiral is one of the most ancient symbols out there, isn't it? 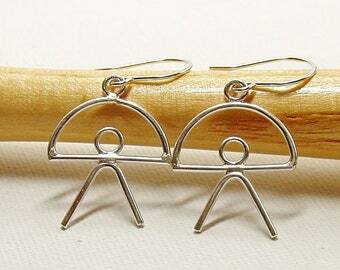 And we do love to hang them from our ear lobes! 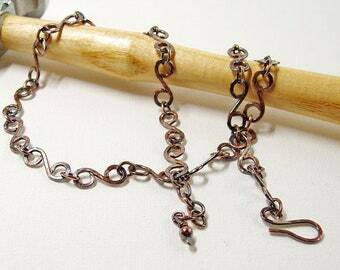 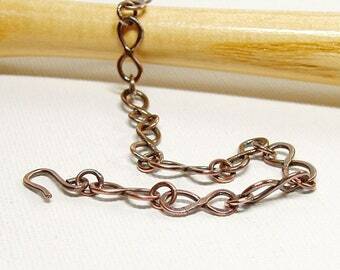 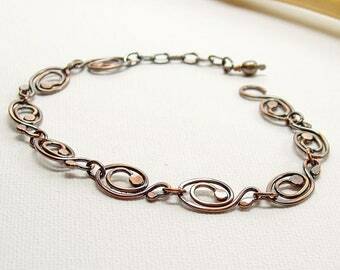 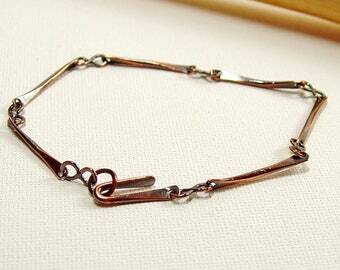 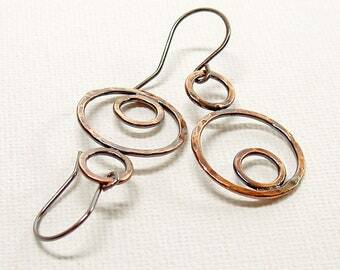 The copper spirals are formed by hand and hammered for strength and texture, then oxidised. 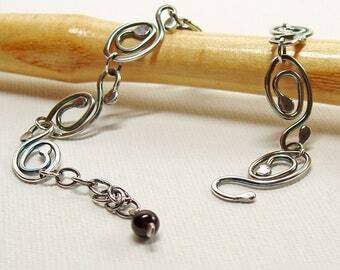 The patina has been randomly polished off and then tumbled to bring up the shine. 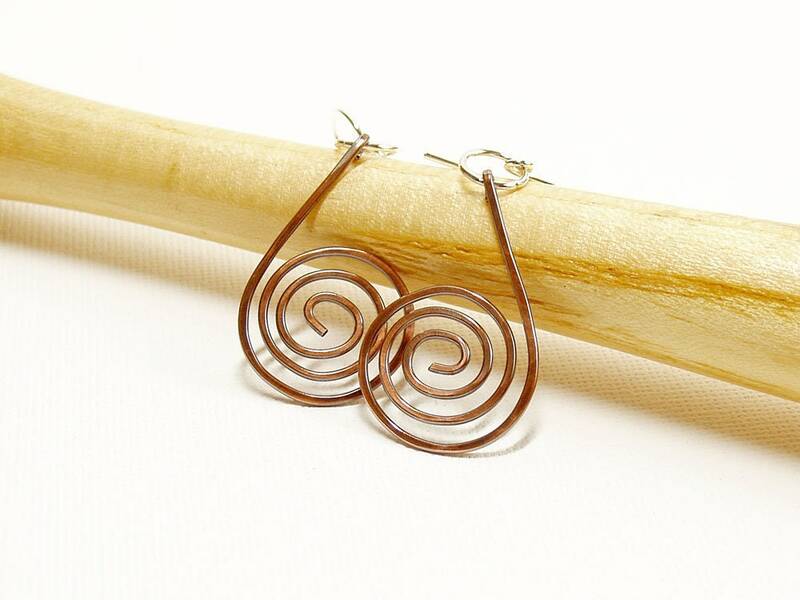 I partnered the spirals with shiny sterling silver connecting rings and ear wires. 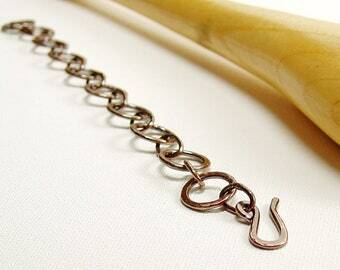 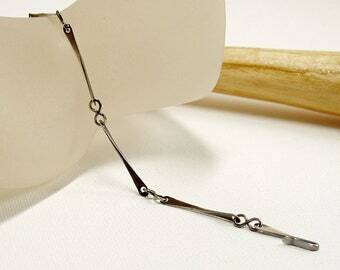 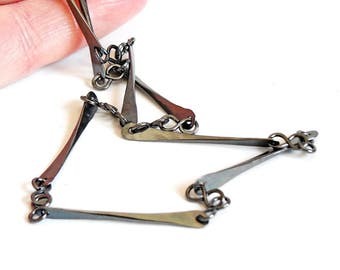 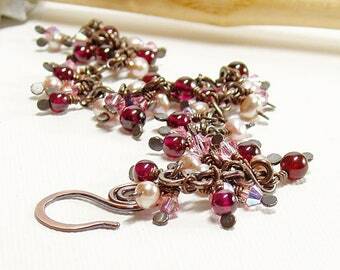 They are approximately 2” (5cm) long, as measured from the top curve of the handmade hooks. 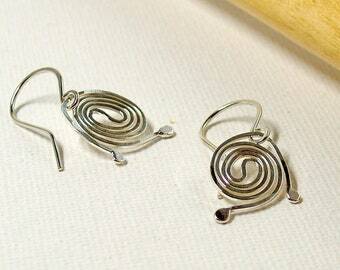 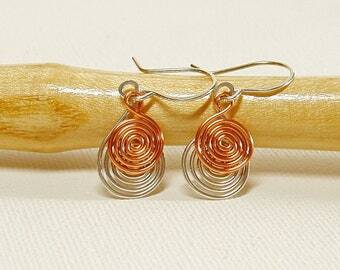 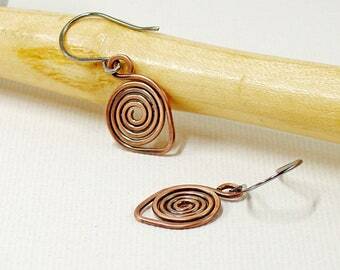 Copper and Silver Spiral Earrings, Wire Jewellery, Simple Everyday Earrings with a Kinetic Twist!